Since two days ago, I can't sync the Contacts and Calendar data in my Microsoft Outlook with my iPhone 6s. Can't sync Bookmarks either. There is a message saying 'Microsoft Outlook must be installed in order to sync calendars'. My MS Outlook is installed and I haven't changed anything." Outlook is an email service developed by Microsoft and an integral part of the MS work suite that allows users to manage the calendar, emails, and contacts efficiently. It is hugely popular among even with users on other platforms, iOS users included. It has great functionality that allows users to sync their calendar events to other devices. Some iPhone owners are unaware of this functionality; others, though aware, are in the dark in regard to setting it up and using it. This article aims to demystify the procedure. We explain the details of how to sync outlook calendar with iPhone. iTunes is a great tool that allows users to manage their iPhones and other iOS devices. 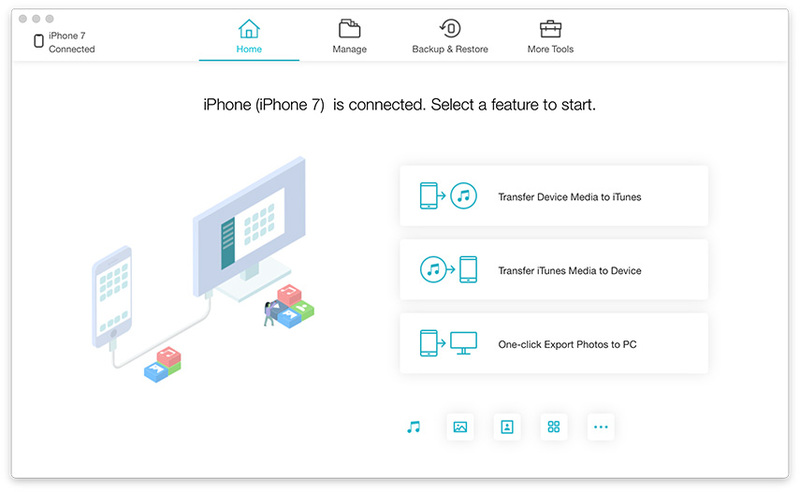 With it, users can also backup and restore their devices when they encounter software issues. To add Outlook calendar to iPhone start off by using iTunes as detailed in the procedure below. Step 1: Connect your iPhone to your computer (Mac or PC) using the OEM USB cable i.e. the USB cable that came with your device. (iTunes should run automatically. If not, launch it by clicking the icon in the start menu (Windows) or Launchpad (Mac). Step 2: Under devices on the left pane of iTunes' interface, click your iPhone and click the Info tab. Step 3: Under Calendar, click Sync calendars with, and then select Outlook. Step 4: Choose one of two options: All Calendars to synchronize all calendars or click Selected calendars then proceed by choosing the calendars you would like to synchronize. The latter can be done by hitting the Ctrl key on your keyboard and clicking each calendar name. Click Apply. 1. Update the version of your Outlook, iTunes, iOS to the latest version. 2. Make sure that you correctly configure iTunes to synchronize your iPhone with Outlook. 3. Reset the sync history from the "Devices" tab of the "Preferences" menu in iTunes. 5. If the issue is caused by iPhone OS, using an iOS system repair tool like ReiBoot to completely repair your iPhone. iCloud is Apple's web-based cloud storage solution that allows users to back up their iPhone data, e.g. calendars, notes, photos, videos and contacts among others. If you can't share outlook calendar with iPhone via iTunes, iCloud should be your go-to solution. All your outlook calendars will be synced with your iPhone: the only condition is that you correctly set it up and be connected to the internet. To sync outlook calendar with iPhone via iCloud, follow the procedure below. Step 1: Download, install and run iCloud for Windows from Apple's official site. Step 2: When setting it up, ensure you select Mail, Contacts, Calendars and Tasks. It's the third option in the interface. Step 3: Click Apply and enter the same iCloud credentials you used when setting up your iPhone. 1. Sign Out of iCloud and then reinstall it. 2. Make sure that the iCloud Outlook Add-in is active in Outlook from File menu > Options > Add-Ins > select iCloud Outlook Add-in. The iPhone Mail app makes it possible to manage your email and calendar easily. If the two methods above don't work, we recommend adding Outlook Calendar to your iPhone Mail app by following the procedure below. Step 2: Tap Mail, Contacts, Calendar. Step 3: Select Add Account then proceed by tapping outlook.com. Step 4: Enter your outlook.com credentials i.e. user name and password then tap Next. Step 5: Toggle on the Calendars button along with other options you want like Mail, Contacts and Reminders. There are iPhone users who have complained that their iPhone calendars have disappeared. All isn't lost. Of course, you can recover them directly from iTunes and iCloud backups, but the downside to this is you can't preview and selectively restore the calendar. And even then, your iPhone will be erased. We recommend using Tenorshare UltData. It allows users to restore disappeared calendars and other types of data like contacts, photos, WhatsApp messages, and videos. Most importantly, users can restore their calendars using iCloud and iTunes backups without erasing their devices. It also allows users to review and selectively restore calendars. To use Tenorshare UltData, follow the procedure below. Step 1 Download, install and run Tenorshare UltData on your PC and Mac. Step 2 Connect your iPhone to your computer using a USB cable. After UltData has detected your devices, then choose the file type "Calendar" and click botton "Start Scan" to continue. Step 3 All the data associated with your calendar will be displayed on the left pane of the interface. Step 4 Click "Recover" to recover the calendar and associated data after you have found the calendar which you lost. 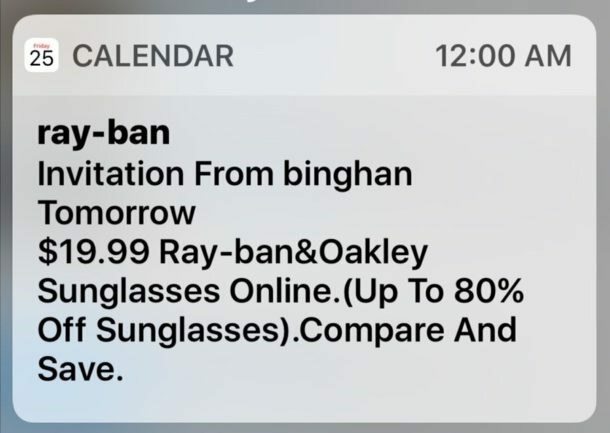 Outlook calendar not sync with iPhone XR/XS/X/8? Use any of the methods listed above. In case your iPhone calendar has disappeared, we recommend using Tenorshare UltData.